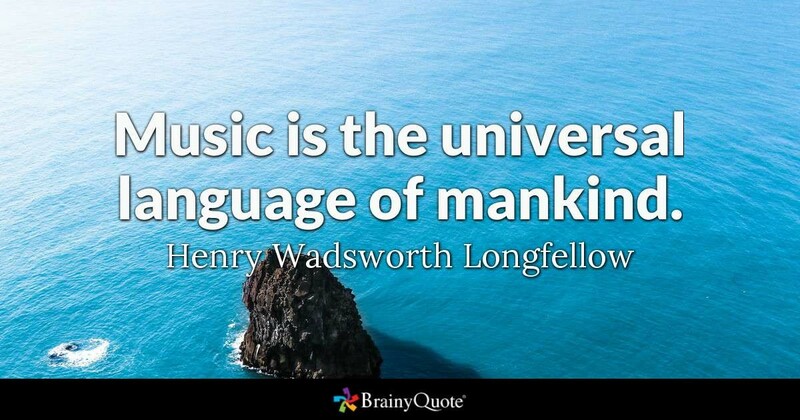 As heretical as it may sound, I firmly believe that music is NOT “the universal language”! I’m here to share with you how I came to that conclusion. But first, let’s have a look at why this cliché became so popular in the first place. It all started in the 19th Century. American poet Henry Wadsworth Longfellow wrote the above quote in 1835 in his first major prose work, Outre-Mer: A Pilgrimage Beyond the Sea. He himself probably encountered this phrase while he was travelling in Europe. In her blog Not Another Music History Cliché, Dr. Linda Shaver-Gleason writes that “the first English use of the phrase (in print, which is really all we can track) was in 1826, in The Ladies’ Monthly Museum: “Music is the universal language of nature””, and points out that the concept behind the phrase is many centuries older still (back to the time of Pythagoras and the “music of the spheres”). Since then, the phrase has cemented itself into our collective cliché vocabulary. Some musicians have gone extra “meta” and written music about how music is a universal language. 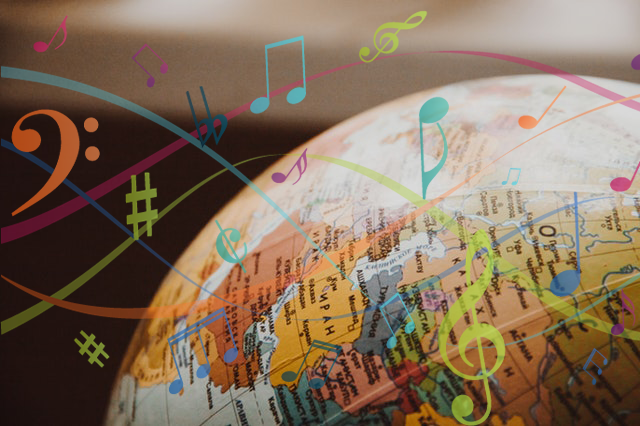 Examples include Kenny Rogers singing about how “music is the universal language” in his song I Believe in Music, and Stevie Wonder’s proclaiming that “music is a world within itself with a language we all understand” in his song Sir Duke. The idea behind the whole “music as a universal language” thing makes sense in a lot of ways, at least superficially. After all, cultures across the world and throughout the ages have had a special place for music in their societies. You don’t need words to connect with music. Musical taste is a common ground that people with diverging political, religious, or ethnic identities can potentially agree upon. Some scientific evidence even supports the “universal language” claim. A recent Harvard research study “found that people around the globe could identify lullabies, dance songs, and healing songs- regardless of the songs’ cultural origin- after hearing just a 14-second clip.” The findings suggest that, cross culturally, humans seem to employ similar and recognizable musical characteristics for songs that serve specific purposes. This effect may be similar to how our brains interpret spoken languages we don’t understand as well. Dr. David Ludden, writing for Psychology Today, points out that even when we don’t understand the content of a conversation in a different language, the tone and cadence of the conversation gives us clues as to what the speakers are saying. Maybe as humans we are somehow hardwired to understand that certain sounds, inflections, and tempi correlate with certain emotions. You know what I believe actually is a “universal language”? 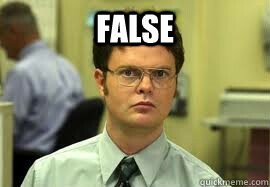 In every age, indisputably, 2+2=4. Pi has the same digits in every country. 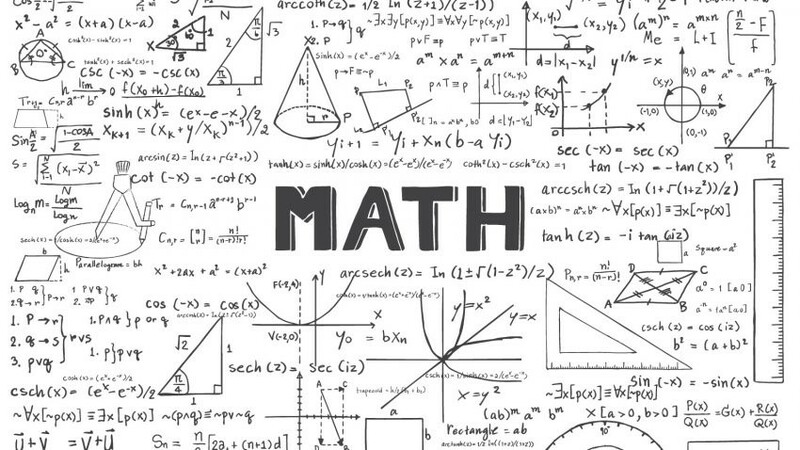 The same formulae are used for calculus and trigonometry in classrooms the world over. There are no subjective ways to interpret multiplication tables. In contrast, music isn’t even notated the same way throughout the world. Certain musical traditions, such as those in the Middle East, use notes that don’t even exist in Western music. Historically, even within Western European musical tradition, we haven’t even been able to stick to a single tuning system, or decide how many hertz a certain pitch on a scale should be! That means that even with urtext edition scores of our classical favorites, the music we play today may not sound just like it did when it was composed. How can music be truly “universal” if, even within a single culture, what we understand as the basic building blocks of melody have not withstood the test of time? The whole “minor is sad” assumption also does not work for Jewish music. In their chapter “Two Jews, Three Opinions” for the groundbreaking textbook Cultural Intersections in Music Therapy: Music, Health, and the Person, Rebecca Froman and Debra Jelinek Gombert explain how it is actually a microaggression to impose this narrow Western framework on Jewish music: “Judging all Jewish music in a minor key as sad without examining context can in effect pathologize this music.” This brings me to a major reason why the “music is the universal language” cliché bothers me so much: if you think all music with certain characteristics should mean the same things, you’re setting yourself up to distrust or dislike whatever does not fit your idea of what is “correct”. Even scarier is the idea that people could extrapolate that bias even further and think that, if the music is “incorrect”, the people or cultures that made it must be “incorrect” as well. Now listen to this (minor key-ridden) klezmer wedding medley and tell me it sounds anything but upbeat and happy. I dare you! My dear friend Dr. Rachel Matz, who has a doctorate in tuba performance and studied ethnomusicology at the doctoral level, said to me in jest “Every time someone says music is the universal language, an ethnomusicologist loses their job.” If music was truly this comprehensive, academic and musical circles across the world wouldn’t expend so much effort in studying the nuances of music from different cultures. Ethnomusicology may not even be a field, because music would be homogeneous in meaning and effect. The auditory tapestry of the world would be much drabber if we could easily interpret and predict music from cultures unfamiliar to us. Here’s what it boils down to for me. Music is not the universal language, but in my opinion, that’s the best part about it. The magic of music lies precisely in the fact that it can mean so many different things to different people. As music therapists, our clients continually surprise us with new ways to engage with music, no matter how familiar it may be to us. Clients could have emotional reactions to music that we might not expect, or could have insight into a tune that would not have occurred to us before. The non-universality of music is also why a machine could never replace our work as music therapists. We cannot assume that the music we could “prescribe” for one patient would have the same effect on another. No number of computer generated playlists for “relaxation”, or “mood elevation”, or other goals we might address can account for the human element that makes personal interactions with music unique. As music therapists, we are there to bridge the gap between the generalizable and the personal. It behooves us to build meaningful connections between the client and the music within the context of a therapeutic relationship, and much of that involves finding music that personally speaks to each client instead of making stereotypically informed choices about what “should” work. I think it’s time we embrace the non-universality of music, because it is precisely this kaleidoscopic quality that gives it the depth, richness, and versatility that our profession demands.